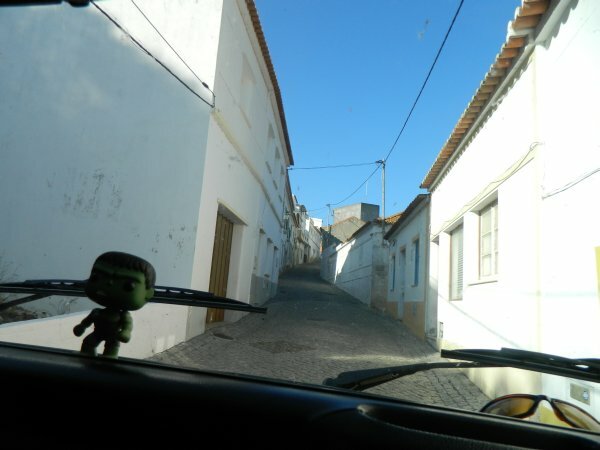 Although we spent an entire week in this city, I don’t think I will ever tire of its beauty, It has the charm and feel of a small village yet the hustle and bustle of Portugal’s largest city. We walked, took the metro, the bus, the vintage trolley, the ferry, and the funiculars as we explored the sprawling landscape. There was so much to see, experience, and do! We admired the Art Nouveau buildings with painted tiles (azulejo) adorning the facades and elaborate ironwork balconies. 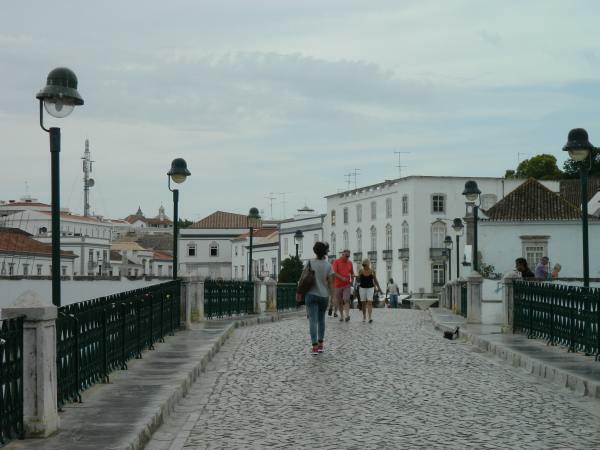 We enjoyed the traditional food, walked narrow stairways connecting the squares and avenues, learned about Fernando Pessao, one of Portugal’s favored poets, and listened to the heart-wrenching Fado music in this town that was devastated in an earthquake in 1755. An earthquake with enough magnitude to level two-thirds of its buildings. 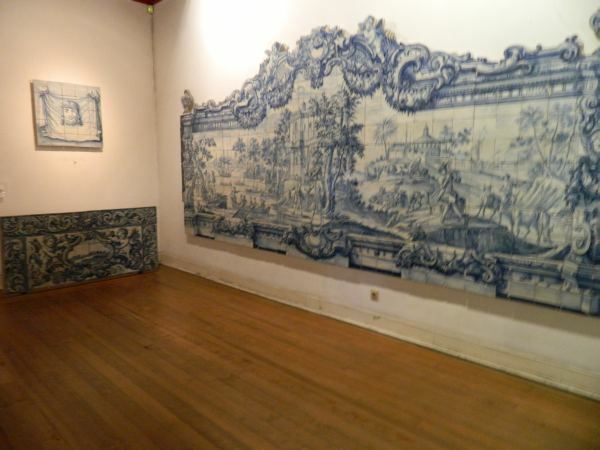 Believe it or not, one of the highlights of our visit was touring the National Tile Museum (Museu Nacional do Azulejo). 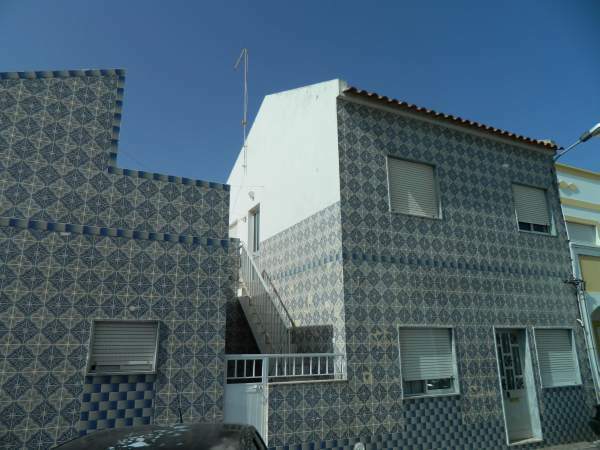 The traditional tiles grace both the interior and exterior of houses, churches, and businesses throughout Portugal. Beautiful! 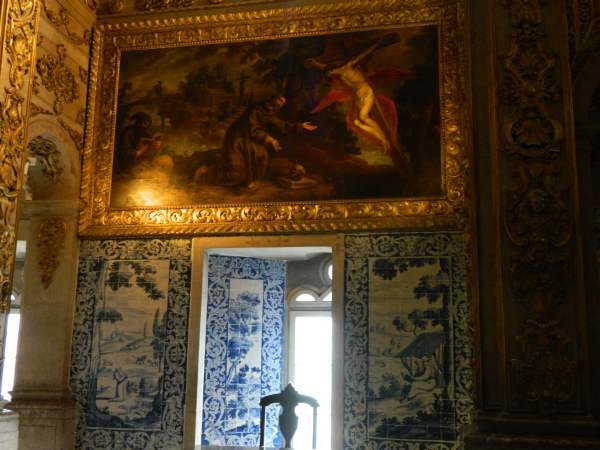 Lisbon’s Tile Museum is housed in the old convent, Mother of God. The quality of art work and tile designs are unbelievable. 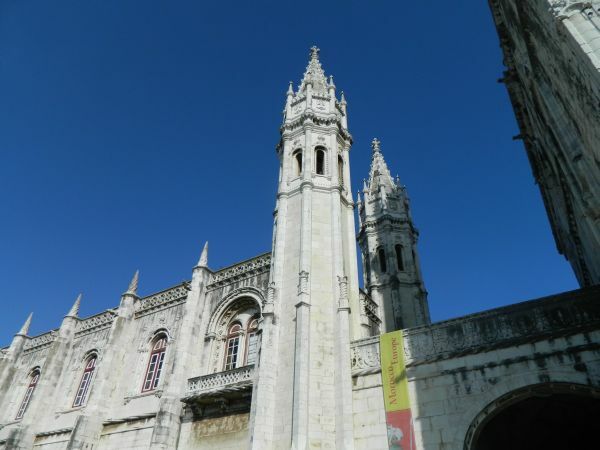 The city of Lisbon had a San Francisco feel to it for many reasons. The vintage trolleys were similar to the ones in SF, also the bridge built in 1966, one of the world’s longest suspension bridges at 3,280 feet between towers, was built by the same company that built the Golden Gate Bridge. 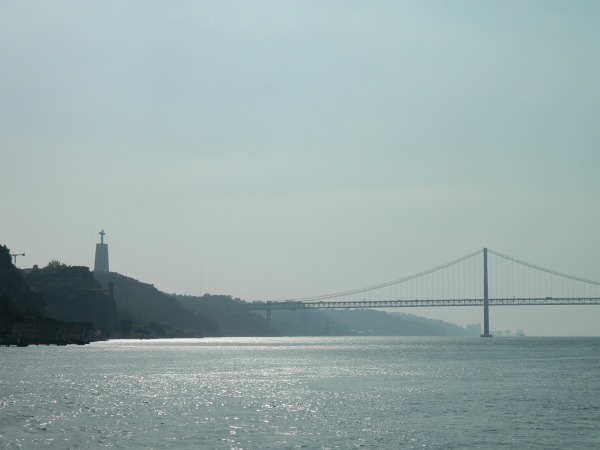 Lisbon’s 26 de April bridge, very similar to San Francisco’s Golden Gate. Notice the Christ statue on the hill to the left, a copy of the one in Rio de Janeiro. 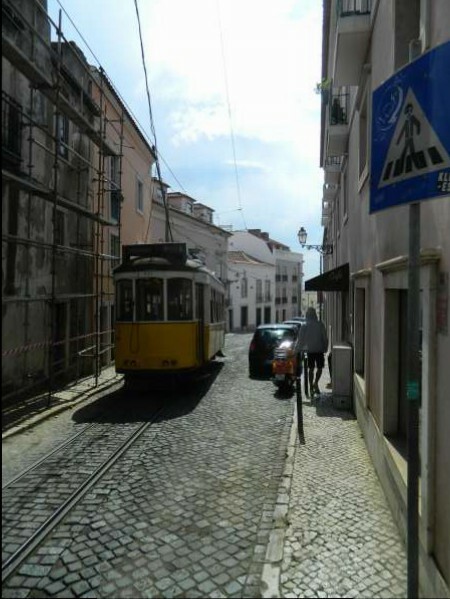 Lisbon trolley, a big help in this hilly city.. 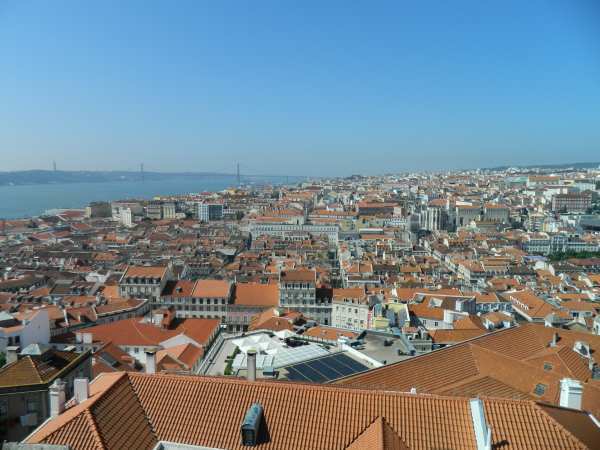 The Belem area of Lisbon is home to Portugal’s current president. 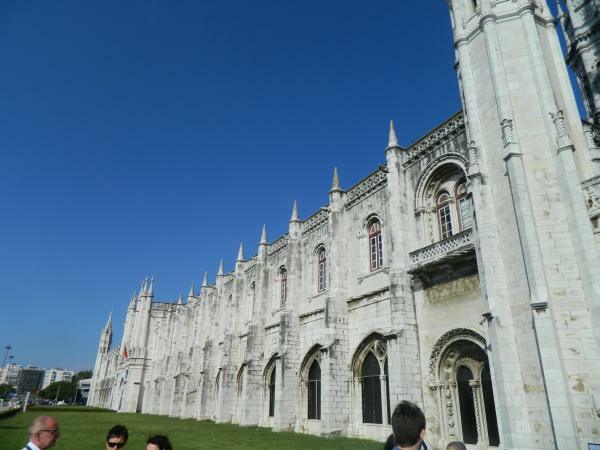 It is also home to the 16th century Jeronimos Monastery where we attended a beautiful mass (in Portuguese). 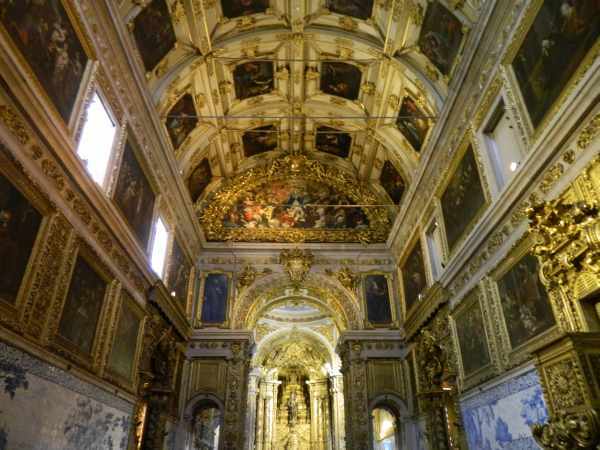 The limestone interior and exterior were elaborate The monastery is where the tomb of the explorer, Vasco da Gama lies. Jeronimos Monastery, While waiting in line to see the monastery, the ushers stopped the line, when asked why, they said that mass was getting ready to begin. Being a quick thinker and being Catholic, I quickly responded, “I thought this line was for the mass”. We were immediately let in and enjoyed the Portuguese mass in this beautiful church. 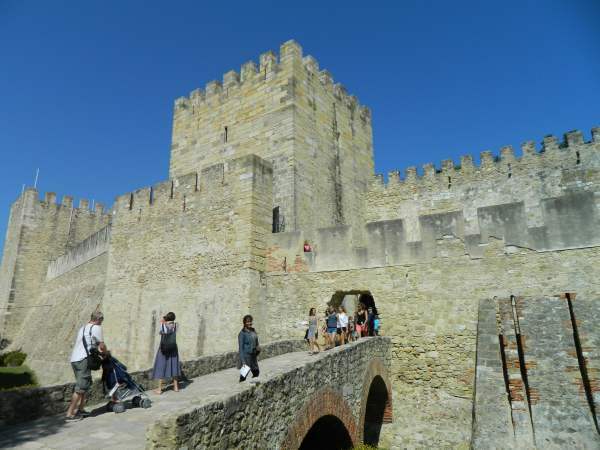 Soa Jorge Castle built in the 11th century by the Moors, afforded us some beautiful views of the city and the port. 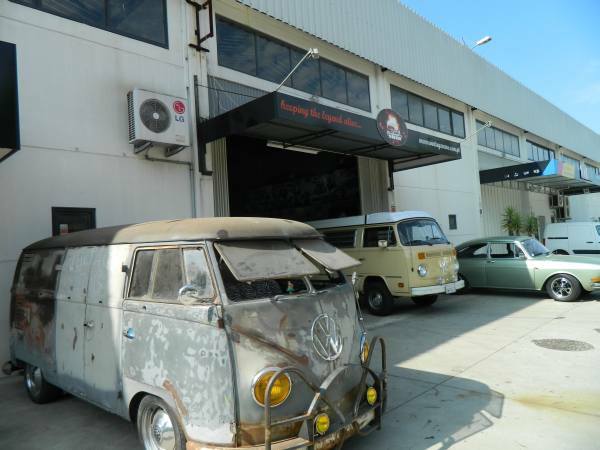 While in Lisbon we had the opportunity to visit Antonio Riberio and his incredible staff at Vintage Vans. We were familiar with the Vintage Vans web site, and since Dakota needed some work, I thought we would stop buy and introduce ourselves. 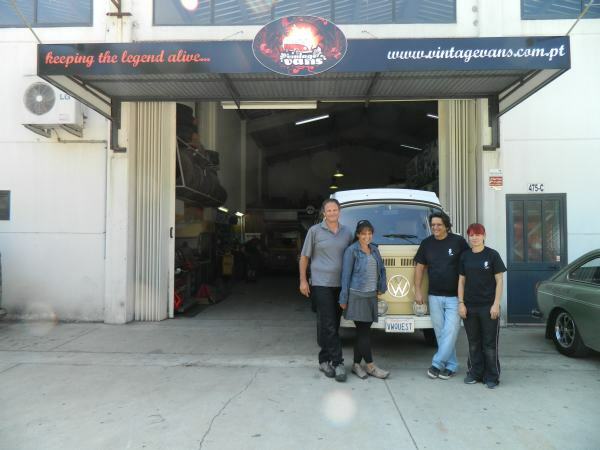 Vintage Vans is a Volkswagen shop that specializes in the repair and restoration of classic vehicles and they do amazing work. The owner Antonio, showed us around, while his staff graciously agreed to change the oil and repaire the drivers window on Dakota. It turned out to be an enjoyable several hours meeting new people and talking about old Volkswagens. Dakota ready to go. Thanks Antonio and staff! 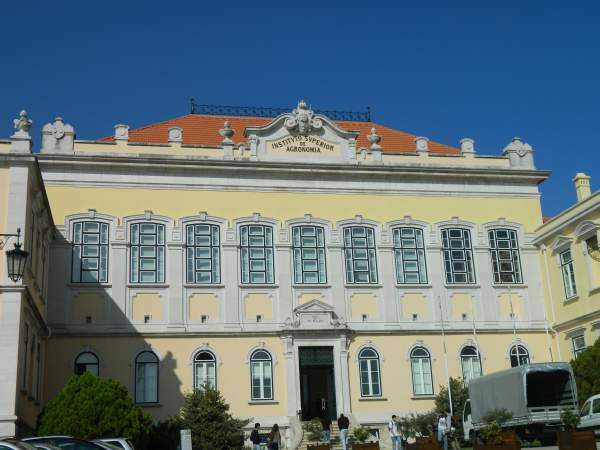 While in Lisbon, we were pleased to tour Portugal’s largest agricultural college, The Instituto Superior de Agronomia. The institution was founded in 1852 and has a current enrollment of 2000 students, all of which are agriculture majors. When we arrived we were welcomed by Paula in the International Relations office and were given a brief history of the school and an orientation to the campus, The first several buildings were bustling with students making their way to class, or just hanging out in the halls enjoying each others company. As the tour continued, we soon noticed that the majority of the 200 acre campus was underutilized. There was a crops unit, yet only about half was being effectively used, livestock units without livestock, and worst of all, farm shops that appeared to be only storage for equipment no longer needed. I asked why the units were empty and the answer was that they were no longer used. It appears that the campus is presently in economic trouble, and they are struggling to provide services to students. 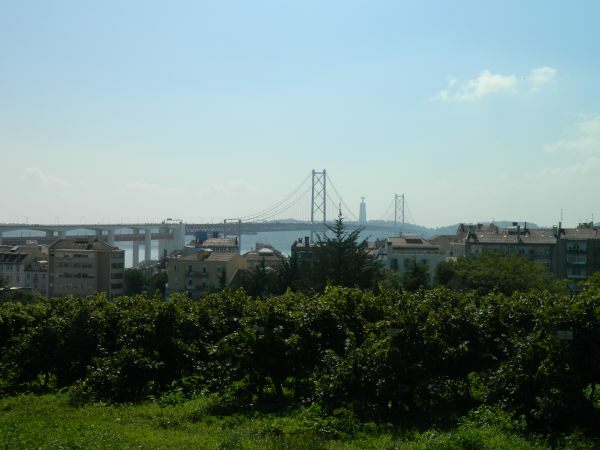 Campus vineyard, notice the campus is located in the heart of Lisbon. The edge of the world as it was formerly known in the days of Christopher Columbus, is the southwestern most tip of Europe. 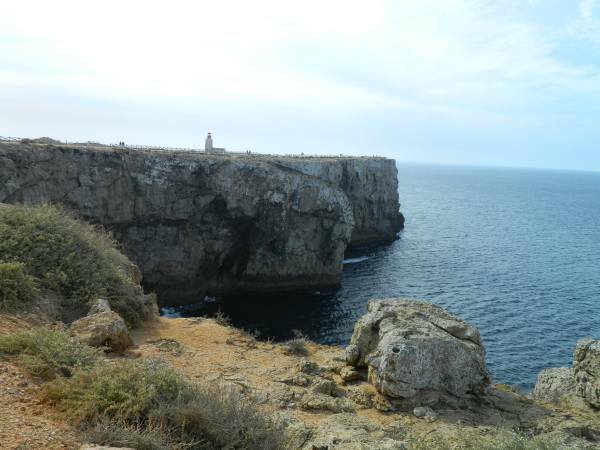 We visited Cape Sagres and its fort where Henry the Navigator founded his school. It is here that in 1476 Christopher Columbus washed ashore after being shipwrecked. 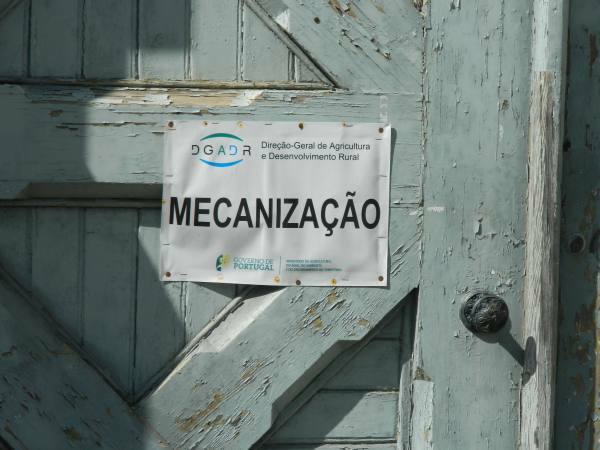 According to the fort brochure, Ferdinand Magellan, Pedro Cabral, Vasco da Gama, and Bartholomew Dias each studied here. We toured the fort and walked around the historic coast pretending to be students in the 1500’s studying mapmaking, shipbuilding, astronomy, mathematics and languages. Each sailor had to keep a travel journal that could be studied for the advancement of all. 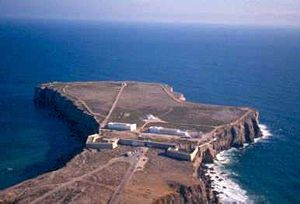 Google image of Sagres Fort and Navigatiors’ School. Two busy beach towns with cobbled streets, with ample places to sun bathe, rent a cabana or a nicely padded wooden lounge chair, and enjoy a cold drink, the views, and some music. Although we appreciated and enjoyed the splendid views, we spent little time in these beautiful towns that were full of tourists from both England and the Netherlands, and full of souvenir shops and cafés where all the staff spoke English. It was not the experience we were looking for, so we moved on. Spending so much time on the road, we tried to stay off the expressways, and instead drive the smaller roads that often would take us through agricultural areas and small towns where we would stop for coffee, bread, or gas for Dakota. It was during these visits that we would meet some of the nicest, most interesting people on our trip. Small coastal towns of Portugal. 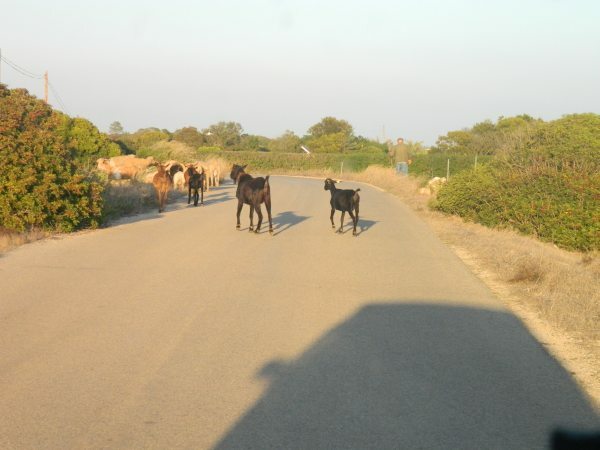 Taking these smaller back roads on our way to Tavira, and enjoying the beautiful countryside, we found ourselves waiting as a farmer crossed the street with his herd of goats, we also slowed as people traveled by horse and carriage. As we continued, we saw some impressive old olive groves with trees trunks thick with age, cork groves with signs of being newly stripped, neat piles of cork from a past harvest, and pine trees with scored trunks and buckets collecting sap. 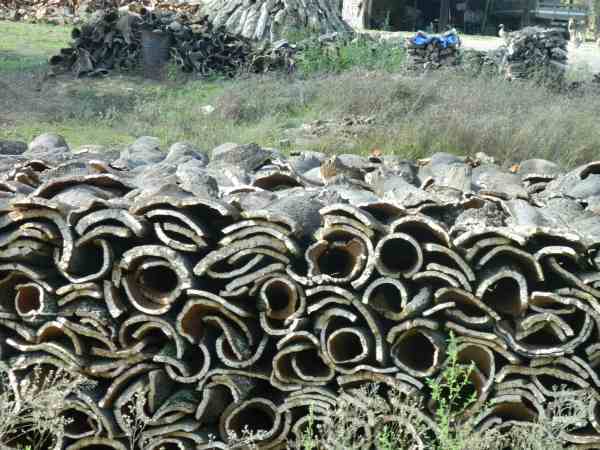 Cork piled high after harvest. Never know what you will see on the road. 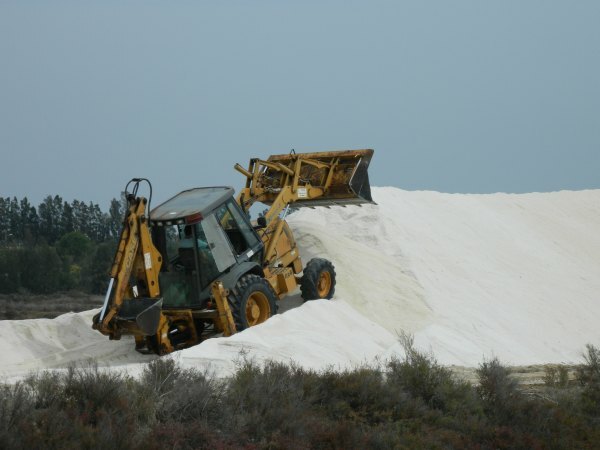 Sea salt harvest along the bike path to Tavia. The area is covered with evaporation ponds. We arrived at our campsite late in the day, and began setting up camp when a Jorge and his wife stopped by on their bikes to say hello. We talked for quite a while, and he invited us to watch a soccer match with him in a nearby bar the next night. While I went to get fresh bread, Steve unhooked the bikes from the rack so we could so we could ride the easy 7 kms to town. We looked forward to the ride as we were told that there was a bike path almost the entire way. Well, the path was gravel, and lined in some places by three foot tall sticker bushes. Guess who skidded on the edge where the gravel was the thickest, crashed her bike, ended up covered in little needles, bleeding from both knees and had so many stickers she looked like a porcupine? Yep. 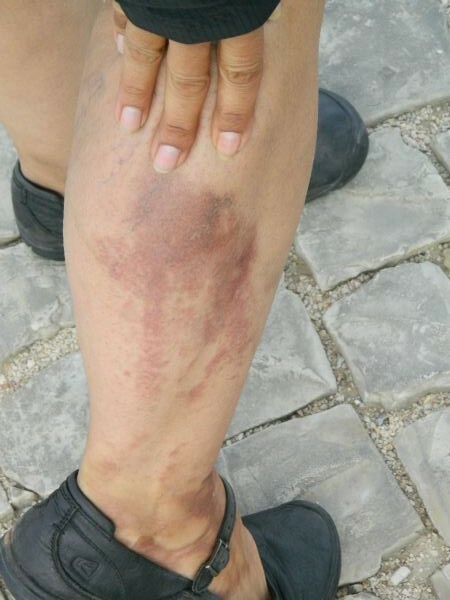 I added pricked arms and legs, and scabbed knees from this crash, to the blistered and burned leg from my coffee spill in Fatima, to the never recovered sore right knee from when I crashed my bike on the sidewalk in Berlin with Giana. Yep, call me Crash ( or just plain clumsy). We rode slowly back to camp as a blood vessel in my left leg started to swell, I then showered, and tried to pull out all the stickers, changed clothes and then started off once again (made it this time ). Town was beautiful. A great place to vacation or even retire. We noticed the distinct style of architecture and unusual chimney types. 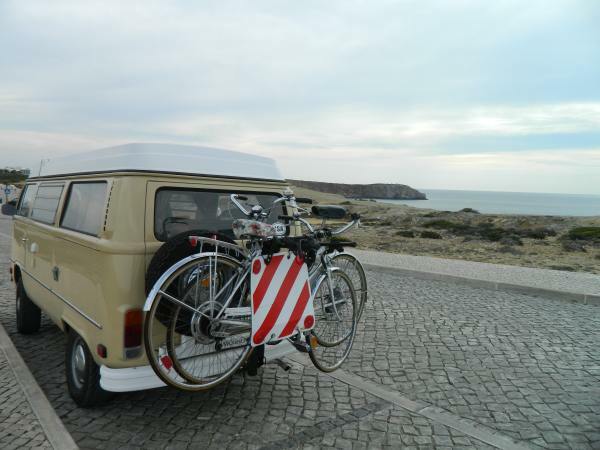 The highlight of our stay here in Tavira was cycling to a different part of town in the evening and watching the soccer game with Jorge. He was intelligent, easy to talk to, and well versed in many areas. We laughed together over similar Portuguese traditions here and in the U.S. We talked about the 102 ways to cook bacalao ( it was only 101, but Steve added a new one), eating altramuces at fiestas, Easter sweetbread, religion, politics, traditions, soccer, and fondnesses for grandmas. When the soccer game ended, and we spent a couple more hours talking, then unlocked our bikes, turned on bike lights (I had to hold a small flashlight in my hand as I broke mine off in the earlier fall), and peddled back to camp. 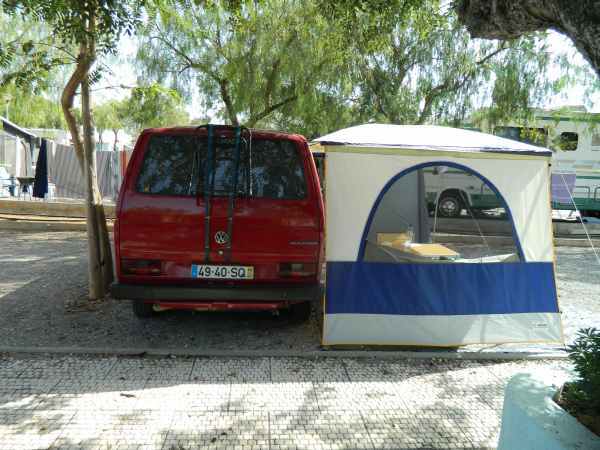 The next day we were heading towards Seville, Spain, and slept in late. On our way out of the campsite, we headed over to wish Jorge and his wife an enjoyable and safe holiday, only to find that he and his wife were already off on their morning bike ride. Alas, we left them a note fastened to their table by a water bottle and headed off toward Spain. Jorge’s camp, stopped to say goodbye but they had already left for town. Hope our paths cross again someday. Crash Amador. I like it!